Garage Door Systems Ltd. has been travelling the length and breadth of England & Wales visiting existing and potential customers with a purpose-built DuraPass Personnel Door show trailer. Their new ‘DuraPass’ range of finished galvanised steel entrance doors are ideal for any garage, outhouse or shed. Available in 5 standard colours including new black and anthracite foil finishes or any RAL or BS colour (to order), Garage Door Systems can offer unbeatable lead-times, quality & value. 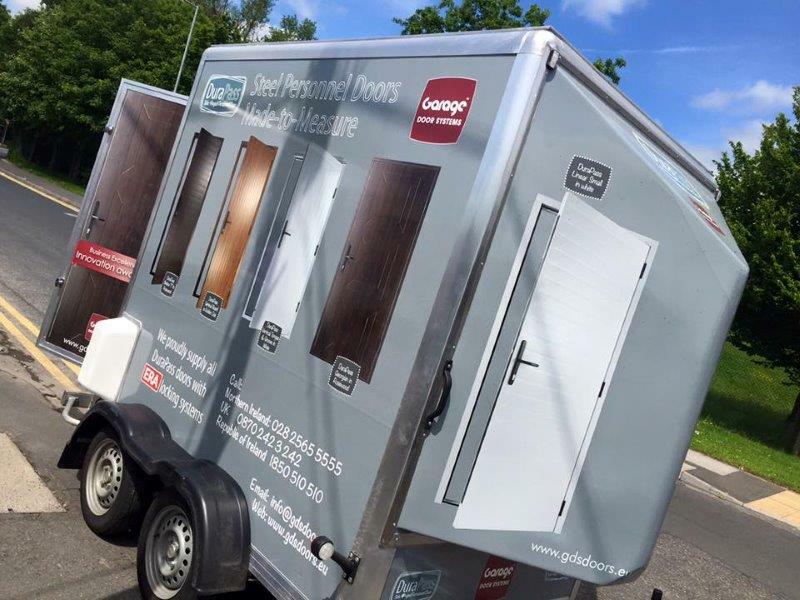 Garage Door Systems will be promoting their DuraPass Door range with their Show Trailer throughout Great Britain over the next few weeks. If you are interested in viewing the doors and discussing in more detail, please don’t hesitate to contact Rodney on 07799 797672 and he will be happy to arrange a suitable date and time to visit.